Measured from January to December, condo prices were flat. The average and median sales price for each category of housing, each month. 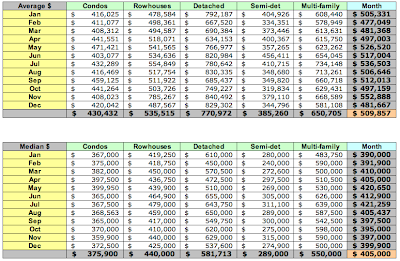 The last column in each table provides the average and median sales price for all sales recorded in the month. The number of sales recorded for each category of housing, each month. The last column in the table sums all sales recorded in the month.